Remortgaging your property allows you to repay what you currently owe on your existing mortgage, and taking out a new mortgage on the property. There are several reasons for doing this, such as moving onto a better interest rate and reducing your monthly repayments, shortening the time to pay it back or borrowing money for home improvements or to repay other more expensive debts. Make sure you apply with at least three months left on your existing mortgage deal. This way you will avoid automatically moving onto the lender’s standard variable rate when your mortgage term ends. Discuss the options with a whole-of-market mortgage broker who can advise on the best mortgage for your circumstances. The idea is to get the best rate available, so don’t feel that you have to stay loyal to one particular lender, because they may not be the cheapest. It’s important to shop around for the best deal – not only giving lower payments each month, but one that allows you to repay your mortgage quicker, making a large saving over time. If you need additional lending, a further advance loan from your existing lender of a new second charge mortgage – meaning a second mortgage on the same property – may be more appropriate than remortgaging, so it’s worth looking into this before making a decision. You may think you know what your property is worth, but you’ll need an accurate valuation to know how much you can spend or save by remortgaging. If your property has increased in value, the loan-to-value figure is likely to decrease and you will be seen as lower risk to a lender. 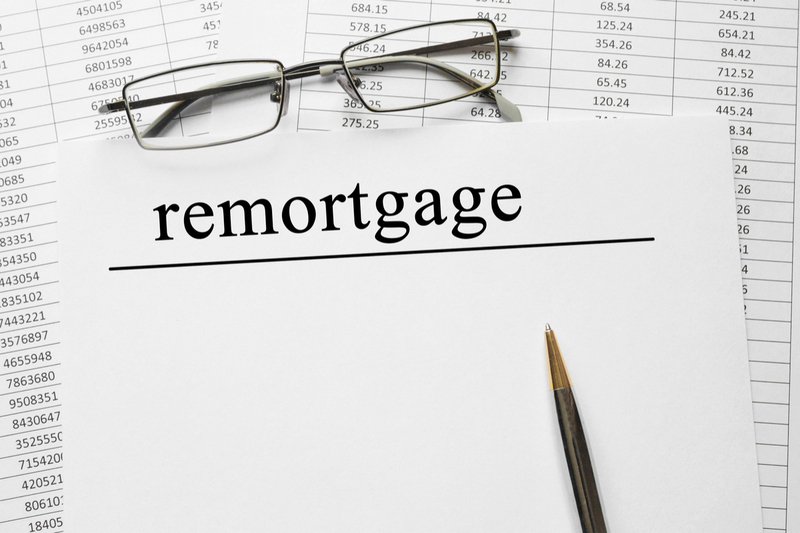 Is remortgaging the right option to release cash? If you want to release equity, an accurate valuation is important. Be aware that you’ll be taking out a larger loan and paying more interest over time and in some cases, it may be cheaper to secure a short-term bank loan if you want to do home improvements or pay for a holiday. When remortgaging it’s important to remember that there are associated fees so you need to work out if these costs make overall financial sense. Some lenders will have a redemption penalty if you terminate your contract early if you’re still within your fixed-term period and there may be an exit fee to cover admin costs. In addition, your new lender will also charge set-up fees, which are the same as when taking out a new mortgage. Also factor in legal costs involved in remortgaging your property, which typically takes 2-3 weeks.